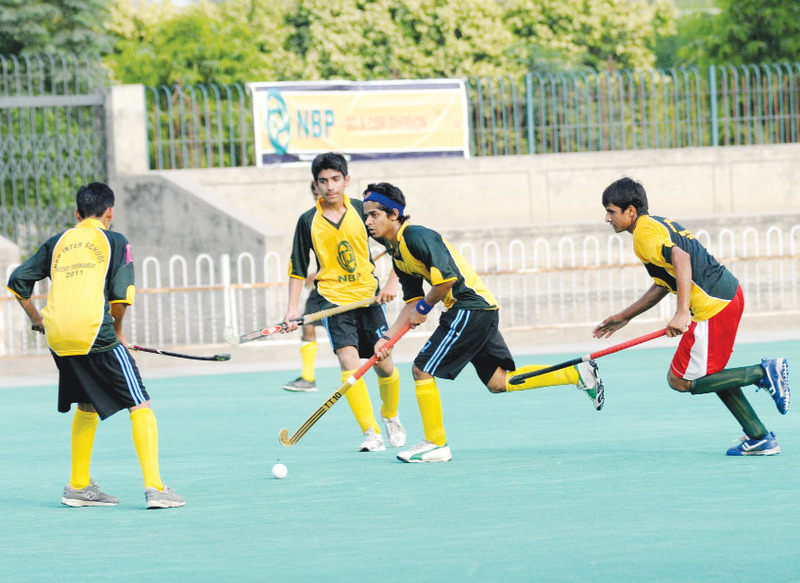 Model High School Model Town won the National Bank of Pakistan Lahore Inter-School Hockey Tournament title here at the National Hockey Stadium pitch No 2 on Tuesday. They beat Aitcheson School on shoot out 5-3 after playing a three-all regulation time game. Pakistan Hockey Federation secretary Asif Bajwa and Farukh Ghauri, regional head NBP were the chief guests of the prize distribution ceremony. Mohammad Zahid first converted two goals on penalty corners to bring Model High School Model Town even with Aitcheson and then scored another goal in the shootout. After playing a three-all draw in full time, the teams went into penalty shootout and Model High School converted two goals while Aitcheson failed to score a single goal with Model School smiling with the main trophy. Zahid was declared the best players of the final while player of the tournament was Mohammad Adil, goal-keeper was Javed and all of these were from the winning school while Mian Shakeel of Aitcheson was the highest scorer with eight goals. Awais is te best player in to the world….